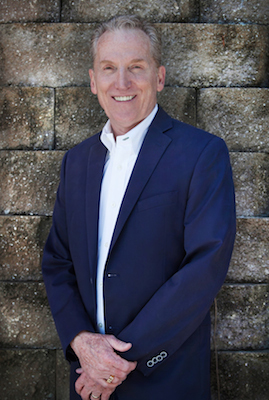 With over 25 years in the Nashville real estate industry, Terry DeSelsms knows what it takes to succeed in real estate. DeSelms Real Estate has become one of the top-producing operations in the country, selling 669 homes last year with a volume of $129,879,114.00! So, just what does it take to make this happen? A common perception for REALTORS is that they only show houses. This could not be further from the truth. Almost every experienced and successful REALTOR works all the time. When not dealing directly with clients, REALTORS know that marketing, networking, and planning are involved daily. Also, helping clients with understanding the process from inspections to closing is a huge part of a REALTOR’s day. Of course, we wouldn’t do it if we didn’t love it, and Terry absolutely loves his job. Terry starts his day with a quick breakfast and a little Fox News. Most agents are grabbing a cup of coffee – Terry prefers a classic can of Coca-Cola. 8:00 AM – Start marketing meetings with the team. Discuss plans to help homeowners with selling their homes and how to assist new home buyers with finding the right house. Discuss the monthly goals, current progress, and strategies for continuing to help our clients. 9:00 AM – Make calls to any potential home sellers that have been referred to us. This is one of the highlights- it’s always an honor to have people referred to The DeSelsms Team and we love talking with those referrals about what they want to accomplish. 10:30 AM – Time for a closing! This marks the end of a chapter for one homeowner but the beginning of a new one for another. It can be an emotional day for all parties and it’s wonderful to be part of it. Sometimes these closings have hiccups, which make for more interesting (though stressful) days. This particular one went off without a hitch. 1:00 PM – Negotiation time. Today it included 5 different offers! That’s a lot of talking about price, contingencies, contracts, etc. 3:00 PM – Pull market comparables (comps) for 2 different properties that are about to be listed. Comps are going to affect not only the listing price, but the offer price since the buyer(s) will most likely pull comps as well. Every seller wants to sell for the highest price they can get, but some times the comps aren’t there to support it. 4:00 PM – Generally, Terry reviews the books with our Closing Coordinator/Office Manager Pam. Today though it was time to meet with the CPA. Keeping the books and records straight is essential to running a successful real estate agency! 5:00 PM – While many other professionals go home at this time, this is a prime time for REALTORS to have listing appointments, where we meet with clients interested in selling their home. This is when we discuss what their expectations are, do a walk- through of the home, discuss a marketing strategy and commission. 6:30 PM – Time to head home with a couple of files under his arm and have a wonderful dinner with Jeannie, getting caught up on all the details with kids and grandkids. If time allows, a new stained glass window design will happen today too! Terry is a member of the National Association of Realtors, Tennessee Association of Realtors, Greater Nashville Associate or Realtors, Real Estate Buyer’s Agent Council and the Council of Residential Specialists. DeSelms Real Estate offers a shadow program where outside agents may come spend a day with Terry and his team. If you’d like to shadow DeSelms Real Estate for a day, just call our office! Interested in joining DeSelms Real Estate? Download our application and tell us why you want to become part of our team. If you’re considering buying or selling a home in the Nashville area, we’d love to work with you! Call us today at DeSelms Real Estate 615.550.5565 to discuss how we can help you.